Dogs of this generic mastiffoid hyper-type became popular at the latter half of the 20th century. Greeders with no time for, knowledge or appreciation of normal canine structure and soundness were competing against each other for a slice of the macho-dog market by producing more and more extreme specimens of bloated pseudo-working canines with brachycephalic heads and hippopotamus-shaped bodies. The ancient and obsolete Rottweiler, English Mastiff, Bullmastiff, Bull dog and Mastino, as well as Marvel Comics & body- building, provided the inspiration for the theme of a super-sized Pug or Vietnamese Pot-bellied Pig with no adherence to any particular breed standard, in various colors and under variable pseudonyms, yet with the common goal to profit from stud fees and puppy sales; as the poor life-expectancy of these cancer-ridden hypertrophied canines offered optimal opportunity for maximum monetary gain from repeat sales to equally brain-dead customers, the venture was successful and the Canis Bovinus eventually replaced many mastiff breeds. 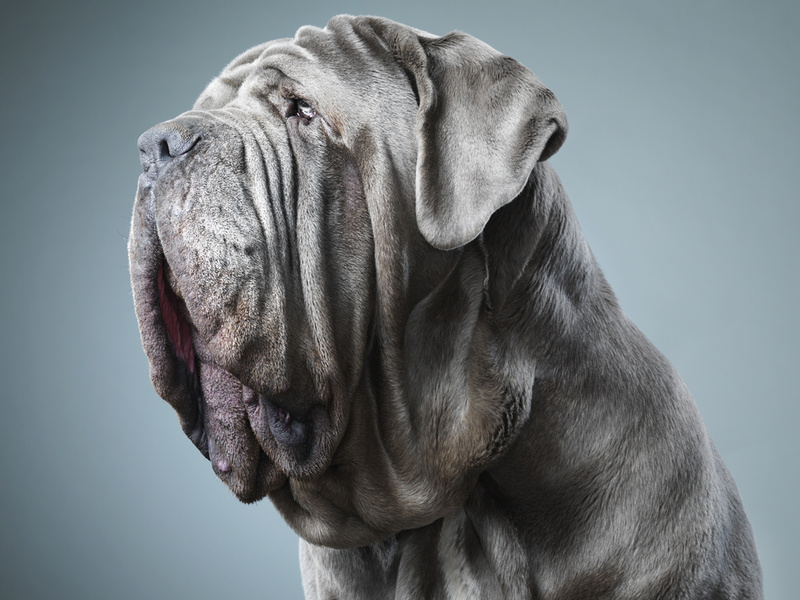 The general impression should invoke extinct breeds like a hypertypical Bullmastiff, obscene Mastino and Korean Dosa, disabled Mastiff, eye-less Shar Pei and a giant version of extreme Pug, Bulldog or American Bully on steroids. Reminiscent of a muzzle-less Boxer only in head, any athleticism and elegance should be avoided at all costs. Any tendency towards a normal muzzle or waist is extremely undesirable. 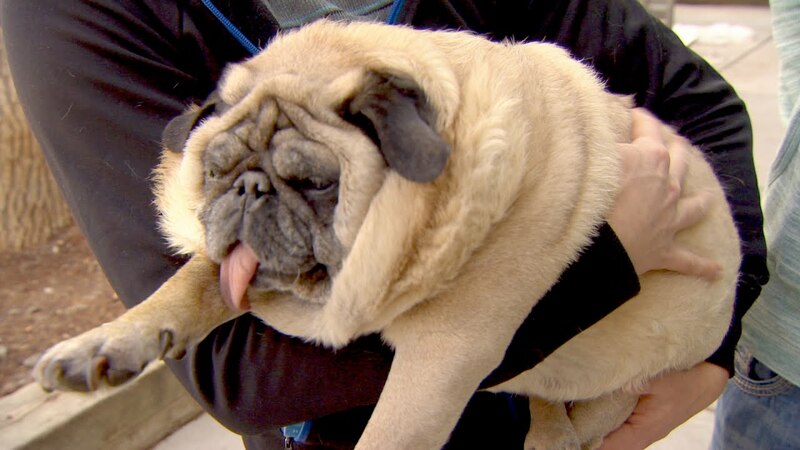 The ideal is a canine caricature somewhat like a chemically enhanced Sumo wrestler or a pot-bellied pig, but without the former’s ability to function. IMPORTANT PROPORTIONS: the chest should be enormous and out of proportion, forcing the dog to waddle like a pregnant elephant seal. Total lack of balance is paramount. Shaped like a football, with a bulging forehead, compressed from stop to occiput and extremely brachycephalic, with ample wrinkles. As misshapen as possible, giving the impression of being crumbled into itself as if hit on the face with a plank or squashed against a wall. A cartoonish exaggerated look is essential. The dogs should be presented head-on, as the size of their head and chest is more important than anything else. Dug in as if with a pick-axe deep into the cranium, forming a cavernous furrow into the forehead with the bulging frontal bones hanging over it and surrounded by folds of thick, excessive flesh. The cranio-facial angle should be acute, definitely less than 90 degrees, preferably around 45 or less. EYES: Strictly optional. Bulging or deeply sunk in and invisible. Normal size and shape of eyes highly undesirable. Mean, stupid or pained expression preferred. Bloodshot eyes or strabismus add appeal to exophthalmus specimens. Entropion, ectropion and macroblepharia essential. Muzzle: Short, blunt, narrow and ridiculously underdeveloped for the size of the head, like a beak stuck-on as an afterthought and with a permanent Joker-like gaping “smile” as the dog is always short of breath and unable to inhale from the nose.Jaws turning upwards at a sharp angle, giving a duck-face appearance. The shorter the better. Lips: excessive, droopy and slobbering. Mouth: undershot, wry, with crowded teeth and visible tongue. Nose: upturned, pinched, pushed backwards and with stenotic nares. Preferably discolored. NECK: non-existent in length; as thick, stuffy and inflexible as possible. If the presence of a neck is unavoidable, it should be as overflexed and ankylotic as possible, to render it useless. BODY: extremely broad, thick, fat, cylindrical and with a sagging topline and underline. Shaped like the body of the Hippopotamus but without the hippo’s natural grace and flexibility. Overdeveloped, protruding, keel-shaped forechest essential. LEGS: short, thick, heavy and swollen. Wrinkles of flesh and skin on the lower leg to resemble pig’s trotters. As crooked as possible. Forelegs: barely able to carry the dog’s front-heavy structure, with indistinguishable, dysfunctional pasterns and splayed feet. Hindquarters: weak and overangulated or weak and totally lacking angulation. Hindlegs: cow-hocked, with slipping patellas and hocks. 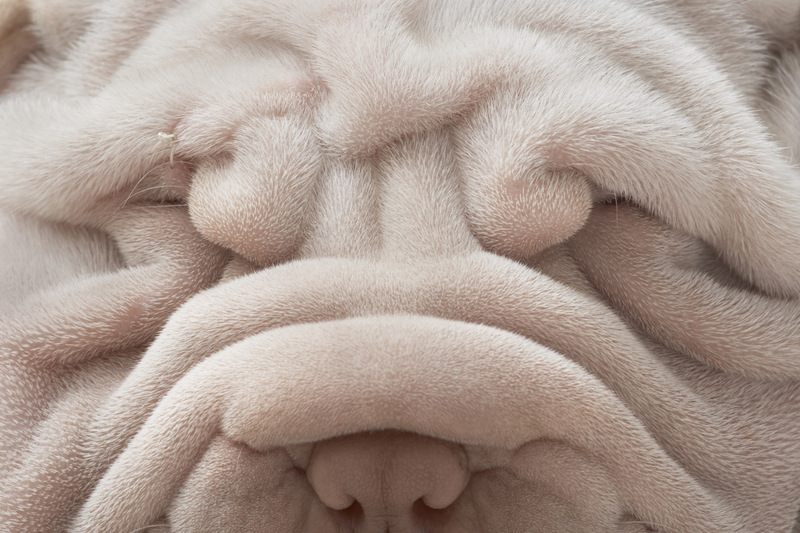 SKIN: preferably excessive, wrinkly, thick and irritated. COLOR: the color of money. TEMPERAMENT: apathetic and lethargic or irritable and miserable. Excessive panting and snoring essential. MOVEMENT: Immaterial. Unsound, ineffective, painful and unable to cover ground without excessive effort and laborious, debilitating waste of energy. Dogs without joint problems should not be bred from. FAULTS: anything reminiscent of a normal dog. SEVERE FAULTS: Elegance, functionality, soundness, true working temperament. DISQUALIFYING FAULTS: genuine working ability, any resemblance to the original, harmony, good health and longevity. The Spanish Mastiff is also suffering from this trend of Hypertypes. Thankfully the Mastín still exists in its original landrace form and function in rural Spain as LGDs where some populations have remained unaffected by Kennel Club breeding!